Morocco in known with a surname kingdom of right-hand long point breaks. Super consistent from fall through spring, Morocco surf spots fire from heavy northern Atlantic swell energy. Morocco surf spots remain uncrowded despite their world-class reputation. Traveling European surfers on holidays.The summer months (June – September) see small to medium swells with surf mostly on the beaches and reefs on the more exposed north west coast. This is a great time for anyone looking for fun, uncrowded warm water surf. There are some bigger days during this time for those looking for something more challenging. During the winter months the waves, that have made Morocco famous, come to life. 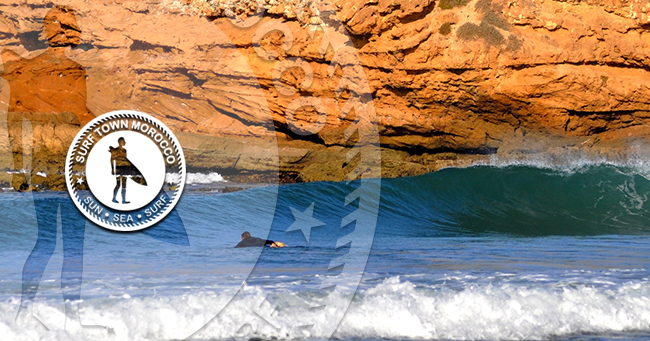 There is a huge variety of surf in Agadir Area southern Morocco. There are not many places like it in the whole. The region has something for everyone, from ideal beginner waves to challenging reef ledges. Intermediates and those new to the sport should not be put off or worried. Due to the nature of the coastline there is almost always somewhere sheltered and manageable, and those looking for something challenging won’t be disappointed. Morocco is blessed with well over 300 days of sunshine a year. Between the months November to February there is a small chance of rain.